Previously at Rävkullen, Max was promoted. Emmy started dating Olle Burlin. 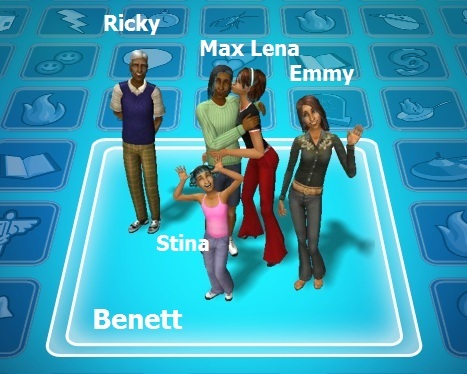 Family Sunday featured a truce between Max's mother Maja and Lena's sister Agnes. The round start with a check of aspiration levels. 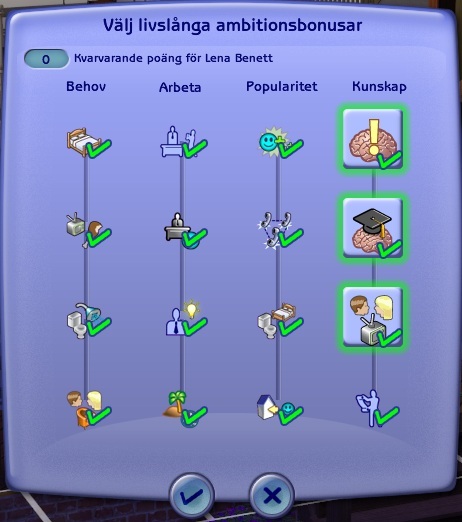 Lena has enough to choose a secondary aspiration of Knowledge. Max true hobby is Arts & Crafts, and he gets a bronze badge in pottery. Emmy, who will leave for college this round, invites her intended Olle Burlin over. He’s already in college, since his house is before hers in the rotaition. They still like each other. The date is kept pretty innocent. Stina, the baby of the family, comes home with top grades. So she gets a makeover and an LTW of becoming Education Minister. That’s ok, so she’ll be allowed to keep her aspiration. 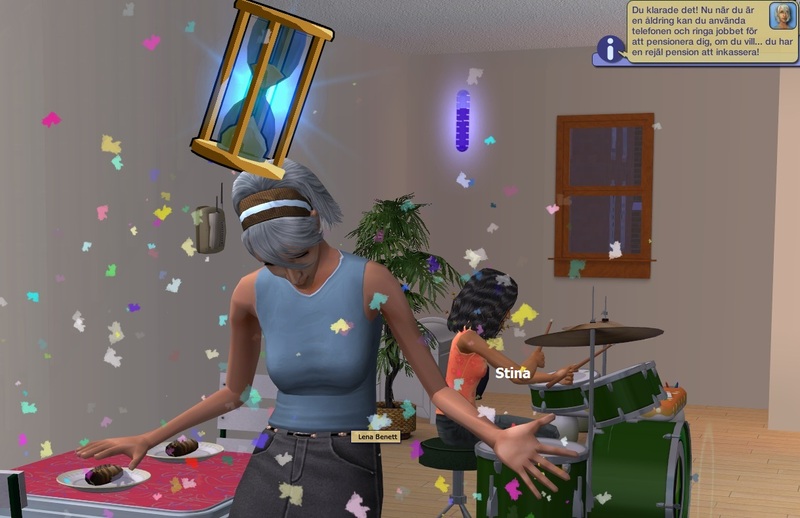 The problem with Family sims is that they are in such a hurry to get hitched. Stina brings home townie Gert Nyman, zero bolts, DR 20, and throws herself at him. Probably it will not last. We’ll have to find a playable intended for her! Maybe Jesper Burlin could be a good match for Stina, the SimGodess thinks, and invites him over, just to find that EMMY's got three bolts with him. Oh, well, we'll see. 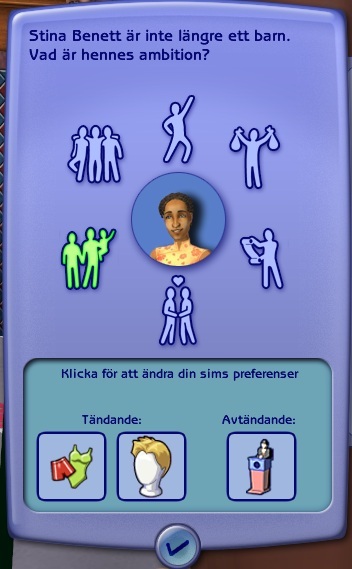 She will be rerolled in college, since she's got that terrible LTW of wanting 20 simultaneous lovers. Ricky, Max's biological father lives in this house, too. 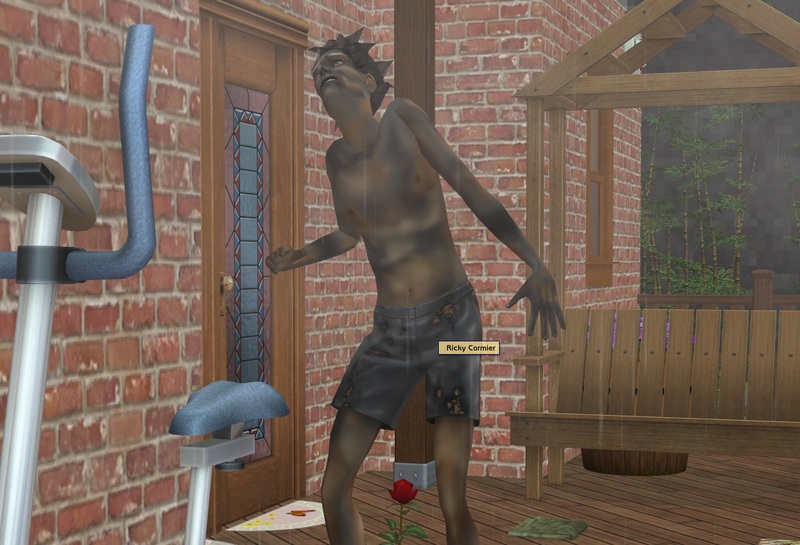 He tries to work out on the exercise bike, but gets hit by lightning. Miserable and worn out, he doesn't take a shower or go to bed, but starts cleaning, and gets some musical enthusiasm from it. Lena suddenly becomes an elder, too. 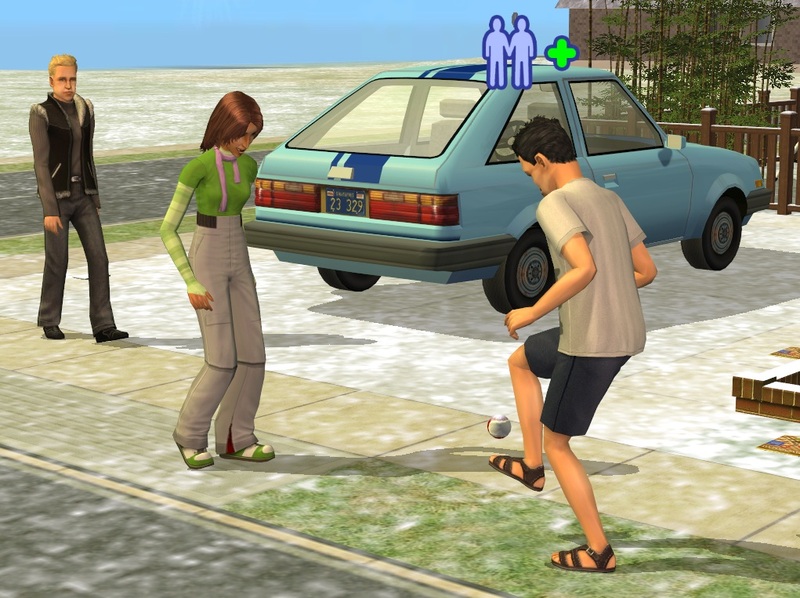 Generation 2 is certainly growing up! Then off to Uni with the romancer. She has landed three scolarships, for grades, art and dance. Ricky misses Emmy since she went to college. 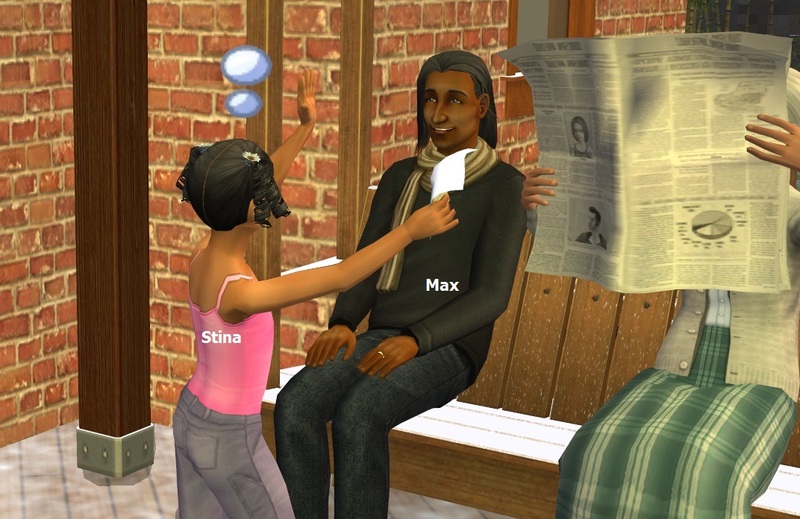 Eeww, he’s her grandfather, even though the game forgot it when Max was adopted. This unhealthy attraction is another reason to change Emmy’s aspiration! 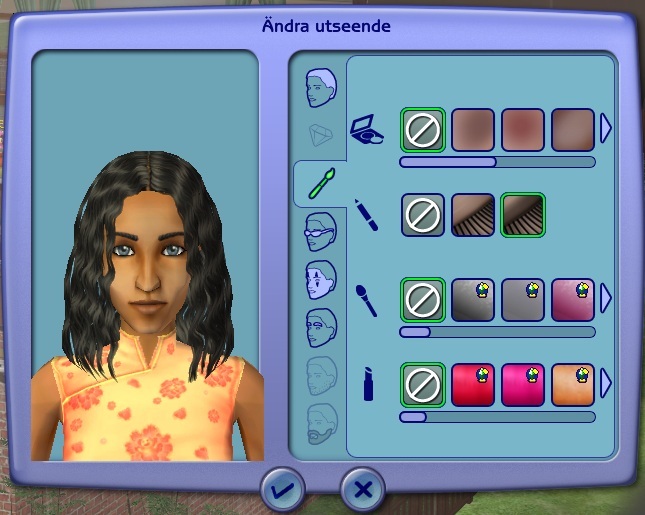 And we end the update with Lena’s filled aspiration panel. 3p! 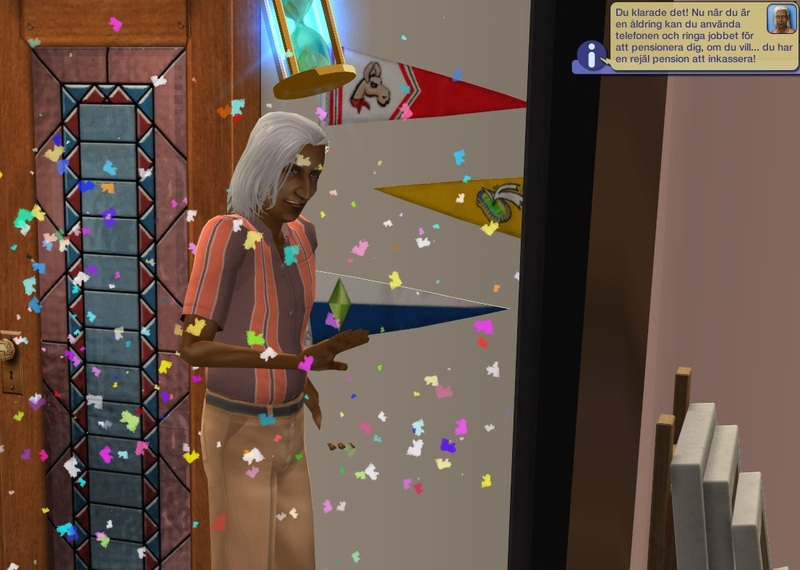 Hmm, not sure why but I'd thought Max was already an elder. Maybe because his mother (real/biological mother) is gone now. Nice to see that Ricky's still around, though I imagine his days are numbered at this point. Did Stina and Jesper have any chemistry between them? 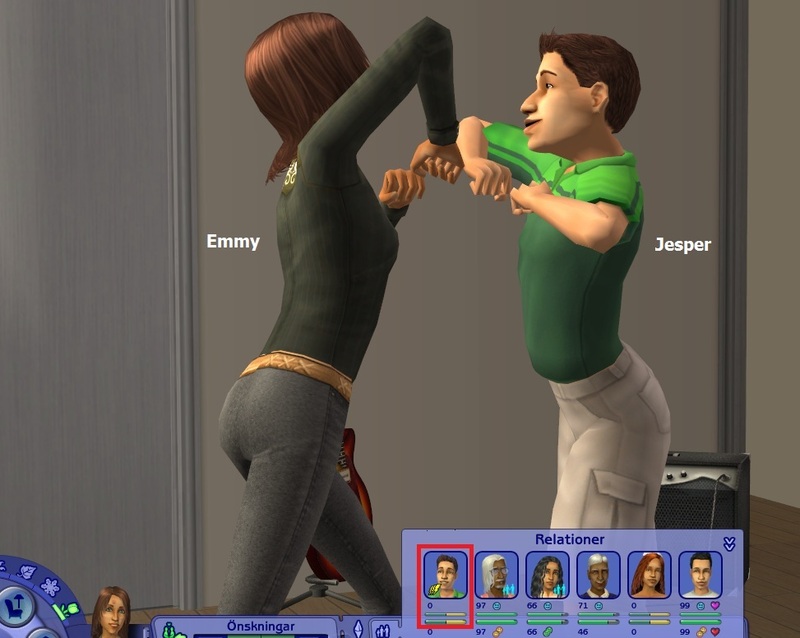 I imagine that the 3 bolts with Emmy won't last when she changes her aspiration. Ricky sure will be gone next round. Maybe you thought Max was an elder since he looks so much like Ricky? 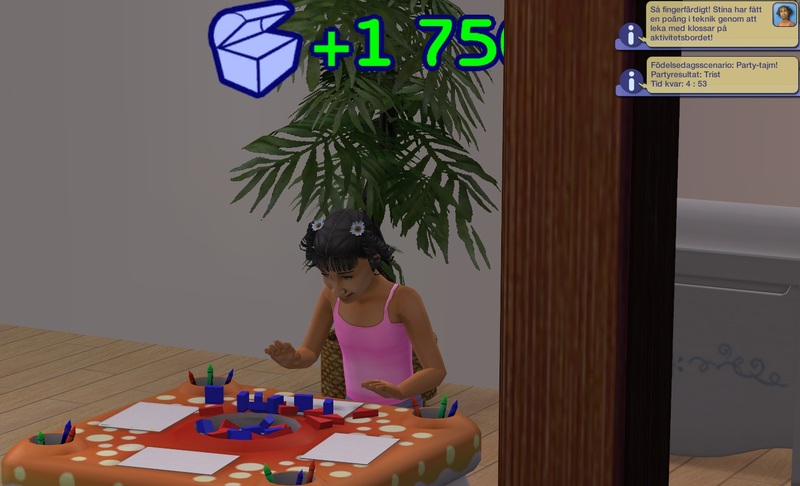 The way the game works with family relationships can certainly cause some awkward moments! Awww Ricky Ricky Ricky....such a crazy romancer in most games. 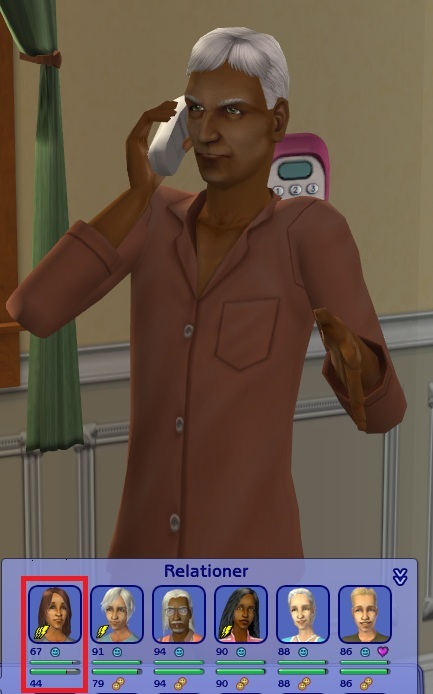 I'm glad he's a Family sim in my game. Although he's soon to be elder in my hood too. :) The kids are doing well it seems. 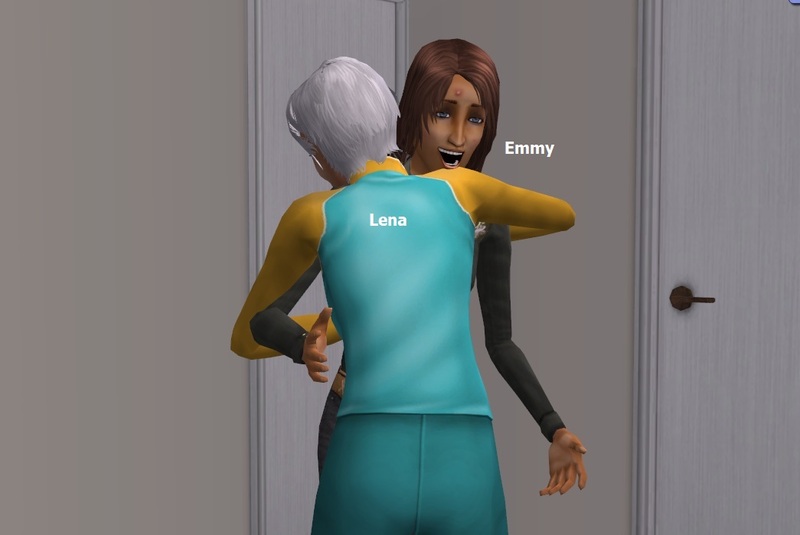 I'm sure Lena's attraction will lesson some with a chance in aspiration. Thanks! Uni was fun for Emmy!